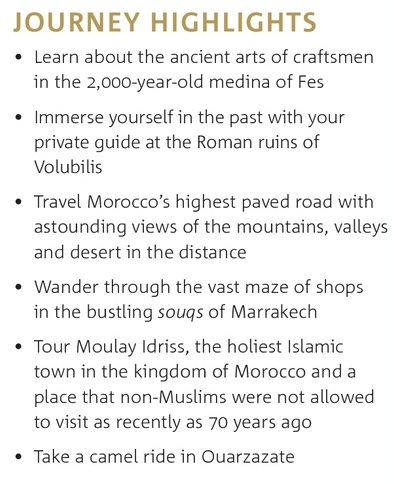 Call 1.800.330.8820 or click here to have a Luxury Travel Specialist contact you with more information about booking this luxury escorted tour of Morocco. 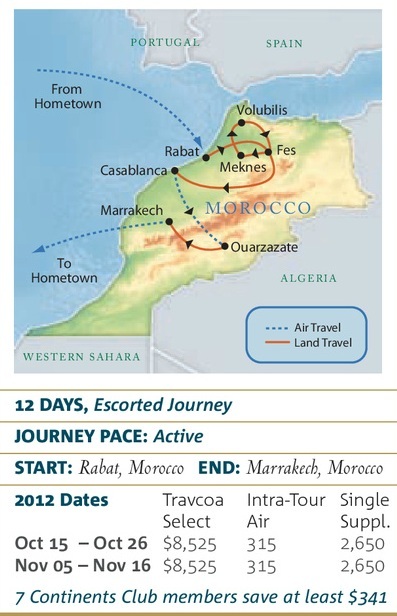 Mention promo code TCWS to access the best pricing on this Mediterranean luxury escorted tour vacation. ~ by travelwizette on June 18, 2012.